Churches, monuments, secret corners, noble houses… a tour of twenty-six attractions in the old town centre of Santa Maria Maggiore and its beautiful hamlets. 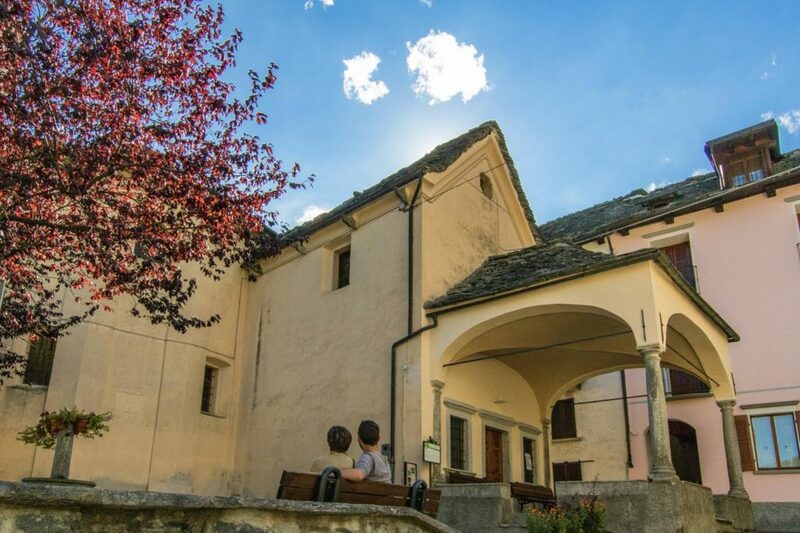 The name of this tour – “Sentieri e Pensieri – Itinerari per camminare e conoscere” – is connected with the literary festival of the town – Sentieri e Pensieri – and it tells the history of this ancient village in Valle Vigezzo. Do not miss the twenty-six cultural attractions of Santa Maria Maggiore: you will find explanation boards in every site. Here you can view four pages dedicated to the complete tour, that is divided into four different areas, with descriptions and photo gallery for every single attraction. View also this useful interactive map by GoogleMaps that you can print or download on your Smartphone. Enjoy your “Sentieri e Pensieri” Tour! Buttogno is a small hamlet of Santa Maria Maggiore. Its development followed a precise plan: in the north part of the village all the rural houses were built, while on the south side all the noble villas with their gardens were erected. 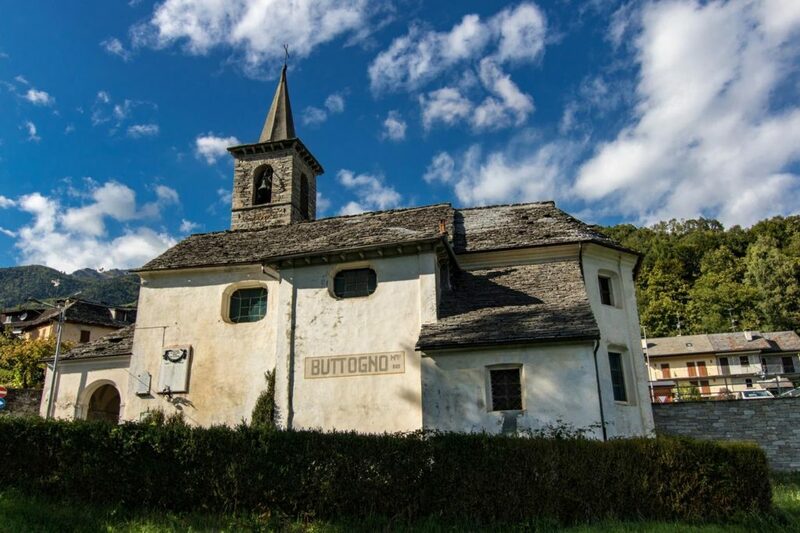 In the centre of this rural village, you can admire ancient stables and cowsheds made of stone, as well as noble houses. Crana is the other hamlet of Santa Maria Maggiore. 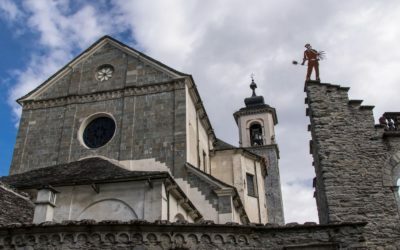 In its little square you can admire a religious building that consists of two different churches connected one to the other: the Church of Saint John The Evangelist and the little and fascinating Oratory of Saint Roch, decorated with twelve big square frescoes portraying the story of the Saint. East Santa Maria or West Santa Maria? South Santa Maria or North Santa Maria? Santa Maria here… Santa Maria there? 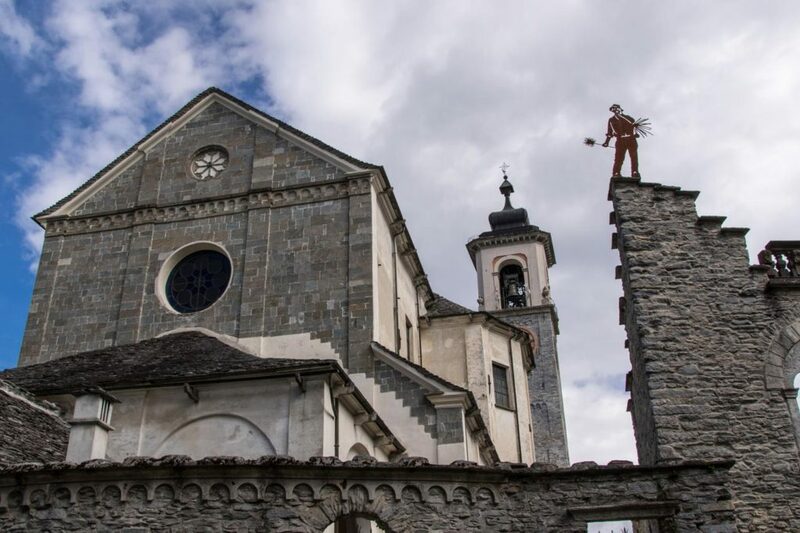 We wondered how we could organize this new beautiful tour in order to discover our ancient village and we decided to propose two different itineraries, that take their names from our dialect: “Santa da ina part” (Santa from one side)… and the opposite “Santa da l’auta part!” (Santa from the other side). Welcome to “Santa da ina part”. Here you will find the attractions in Via Rosmini, Via Cavalli and Via Rossetti Valentini! Enjoy your visit! High Santa Maria? Low Santa Maria? Once again we decided to use our dialect! Welcome to “Santa da l’auta part” (Santa from the other side), … the one opposite to “Santa da ina part” (Santa from one side). Here you will find the attractions in Piazza Risorgimento, Via Benefattori, Via Roma, Via Farina and Via Milano. 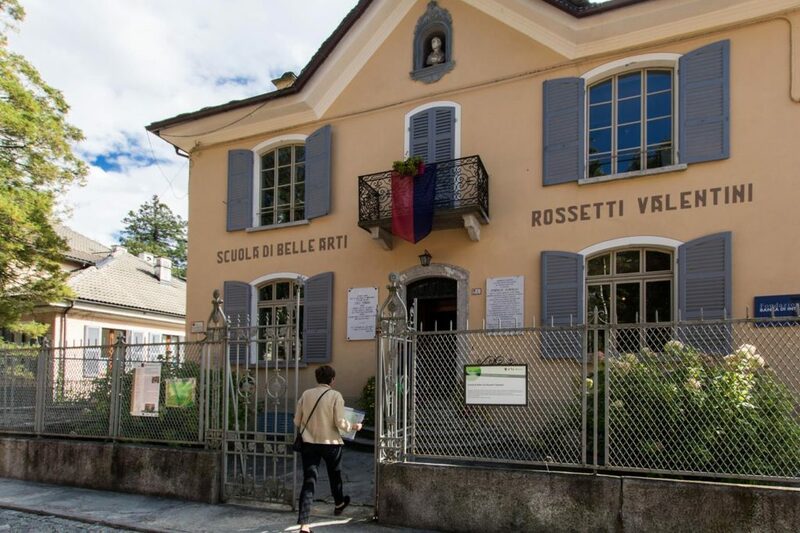 Discover here this Tour of “Sentieri e Pensieri – Camminare e conoscere”. Then follow your map and enjoy your visit!